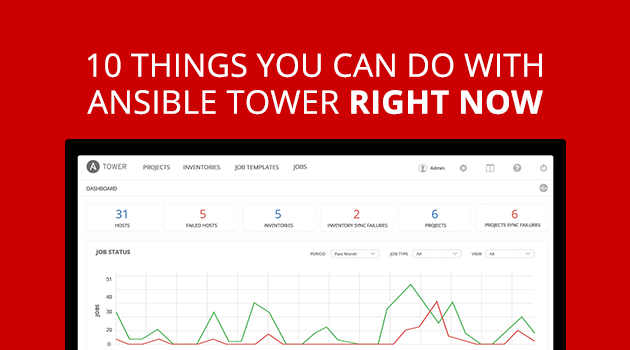 Discover the security, control and delegation Ansible Tower provides for your Ansible environment. Centralize and control your Ansible infrastructure with a visual dashboard, role-based access control, job scheduling, and graphical inventory management. Tower's REST API and CLI make it easy to embed Tower into existing tools and processes.